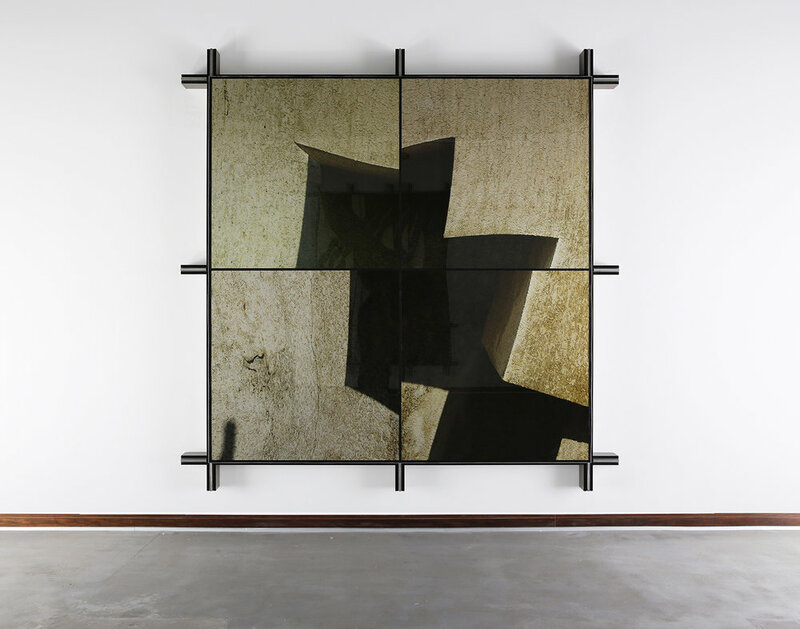 'Variable Memories' (2014) is s series of large-scale works, where the building facades from two different stages of urban development in Dubai are juxtaposed. 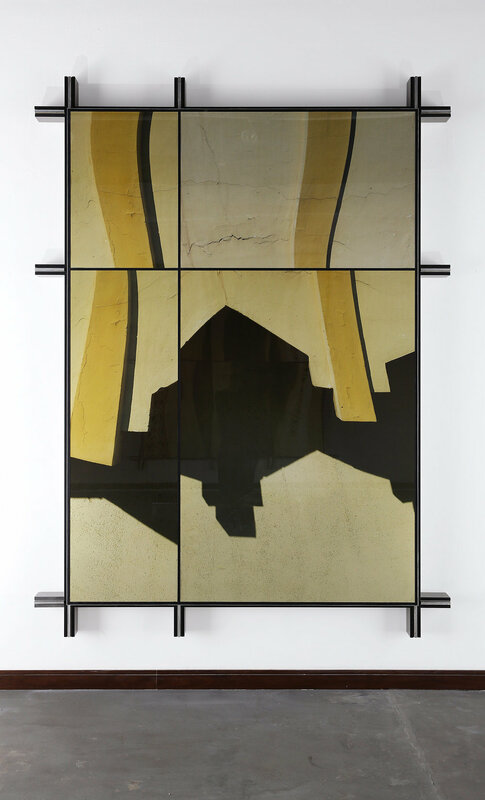 Distorted architectural facade motifs from older Dubai, reflect on expansive glossy panes that are now ubiquitous to the emirate. This project questions how the sudden mushrooming of modern urban districts romanticize older structures relatively early. The present turns into a medium through which the past gets distorted, superimposing an altered image on preceeding narratives. Such dramatic urban transformations draw a frontier between recent history and the modern day. 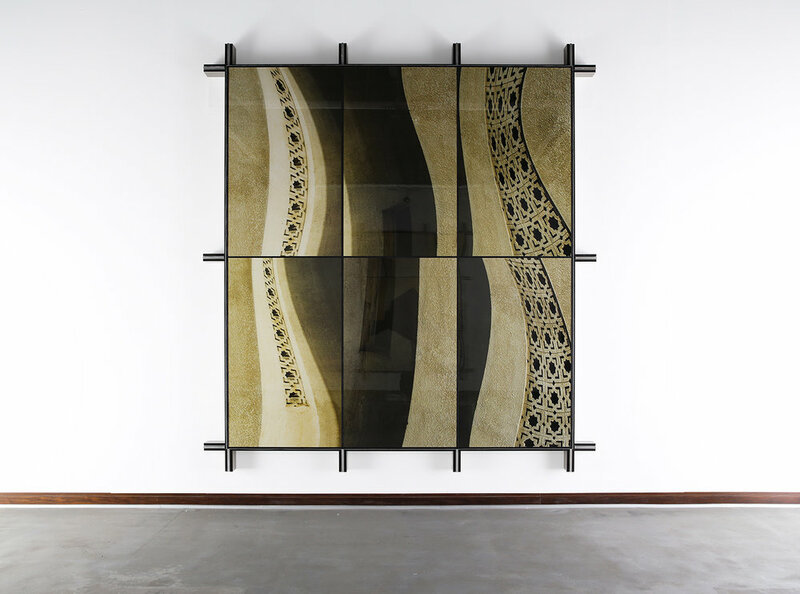 The facades reflected in this series are from Deira and Satwa, older sectors from the city of Dubai that are today viewed through a gilded layer of nostalgia. The quintessential postmodern architectural motifs that clad these sectors suddenly stand in contrast to their modern counterparts, bringing into question, how will this urban visual narrative reside in a collective memory. 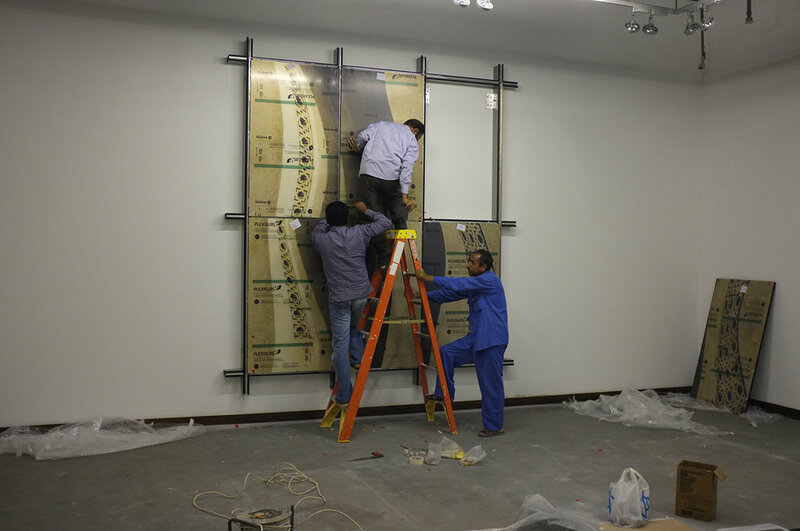 This project was realised with the support of Sedam Aluminium, Reprotronics, George Shahda Photography, Dubai Culture & Arts Authority, Campus Art Dubai, Tashkeel and Dubai Film and TV Commission.